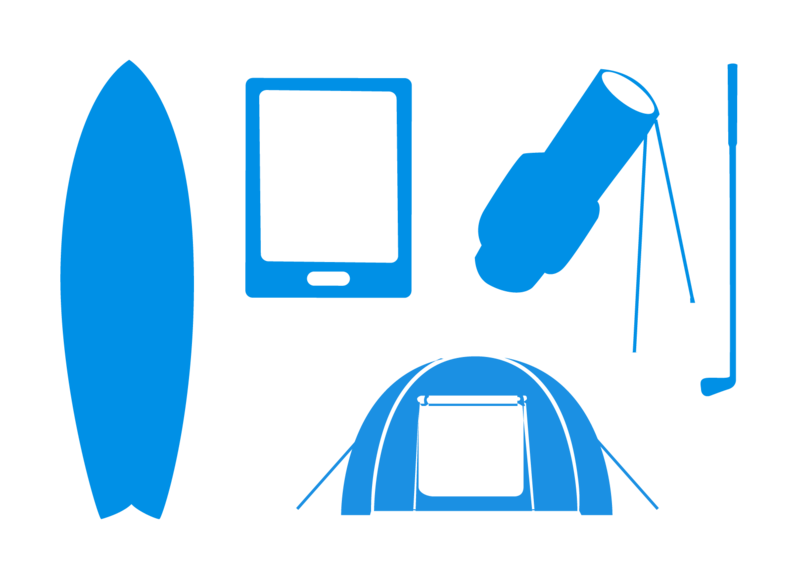 Adrian Flux's personal possessions insurance is specifically designed to protect your personal effects, including hobby equipment, in your car, van, camper or caravan - whether they're gadgets, camping equipment, sports equipment or specialist clothing. Everyone knows that they should keep expensive items hidden out of sight; satnavs should't be left on the windscreen (and don't forget to wipe away the tell-tale circular mark), phones should be tucked away out of sight and golf clubs hidden in the boot just in case you're the next victim of a car break-in. But no matter what precautions you take, there's always the risk of theft from your car, as well as the chance of your in-car items being damaged by fire, lightning, storms or floods. So, if your car's boot and glovebox are usually packed with expensive sunglasses, smartphones, tablets, shopping bags, hobby equipment and more, personal possessions insurance might be the perfect cover for you. Why choose Adrian Flux for personal belongings insurance? The policy covers your personal effects in a car, van, camper or caravan up to £1,000 - providing insurance for a wide range of personal effects against fire and lightning damage, malicious damage, storm and flood and theft from a locked vehicle. With £1,000 total cover (a £300 limit for any single electronic item) and a low excess of only £50, a huge range of items can be covered - giving you peace of mind that whether your belongings are damaged or stolen, you can take action. It's not just small personal belongings like phones and wallets that are covered - golf clubs, model aeroplanes, surfboards, fishing kit and more are all covered too. This policy is only available when bought at the same time as your motor, van, camper or caravan insurance policy. Try and keep photos of any jewellery, sunglasses, watches etc.